The world of wine in Tenerife are in luck. Coinciding with the feast of St. Andrew, the wineries open their doors and give entry to new wine. If you like to discover the destination through its flavors and new experiences, this is an event. To understand the history of the Canary wines would be interesting to start by visiting the Casa del Vino. An old farm seventeenth century, which houses a museum and a tasting area and a restaurant with views of Mount Teide prodigious. Delve into the largest of the Canary Islands, where you can taste wines with Designation of Origin Tacoronte-Acentejo and Orotava Valley wine region. The fantastic thing about this region is that along its route will take contact with the heritage, nature and stunning landscapes of this area of the island. 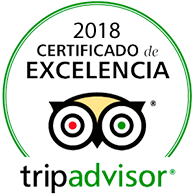 The ideal place to sample typical Canarian cuisine place. Aim these cities within your route: Tacoronte Tegueste, El Sauzal, San Cristobal de la Laguna and La Orotava are some of the municipalities that can be found within this region. Here you will find everything from large wineries to smaller and family. No doubt this is a highly recommended option ecotourism and a different way to discover and experience Tenerife in a unique way. A.O. Ycoden-Daute-Isora is located in the northwestern region of Tenerife and its wines are heirs of the ancient “Canary”, a wine made from overripe grapes Malvasia which was already appreciated by William Shakespeare or Giacomo Casanova, among many featured leaders of the history. Here you will find very aromatic white wines and rosé and fresh grapes flavored. Malvasia have sweet and sour notes. If you like more tropical flavors, try the rosé of this region. You will be amazed. In the region of Abona, in the south of Tenerife, white bodied wines are produced, but also fantastic red and rosé. The key to success of these wines is the sun and the volcanic soil that stimulate to growing excellent grapes. The white wines are the star of the wine production of the AO “Valle de Güímar”, which are characterized by a fresh and fruity taste. Rosé wines are prized for their aroma of red fruits, while the reds are recognized for their earthy notes. Other varieties are sweet wine, with hints of honey; sparkling wines with very fine bubbles and persistent, slightly acidic crown; and sparkling wines with notes of dried fruits and slightly spicy. Is not suggestive? November is a good time to discover the island and its stunning nature, interesting history and culture so personal and unique. Make it through their wines will help you to see Tenerife through new flavors that we are sure you will love them. Enjoy it! This entry was posted in Experiences, Gastronomy, Tenerife and tagged Canary Islands, Tenerife, traveling, Wine. Do you know our pool parties?